Home → News → It’s BVE London 2017! Our MW Video team are all set and up and ready for day 1 action at BVE London. Our stand M30 is looking good, with a range of our furniture solutions available to view. 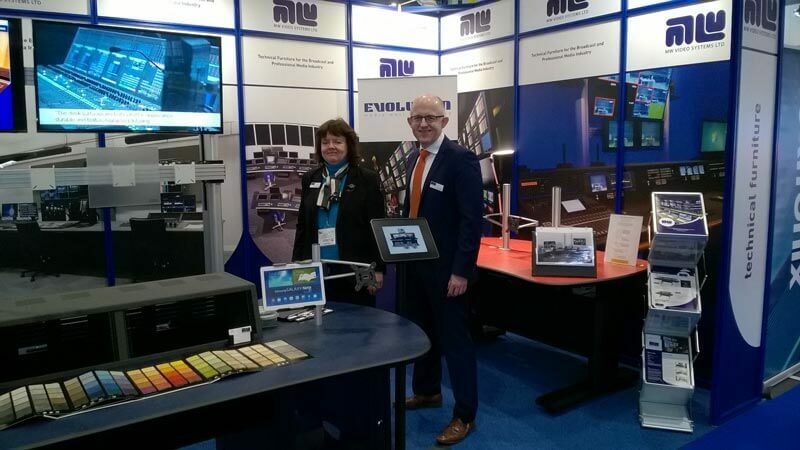 Neil and Liz will be at the event in its entirety, and are looking forward to demonstrating our latest solutions including the new height adjustable Edit Desk. Go ahead, press that button! See us until the 2nd March at stand M30!